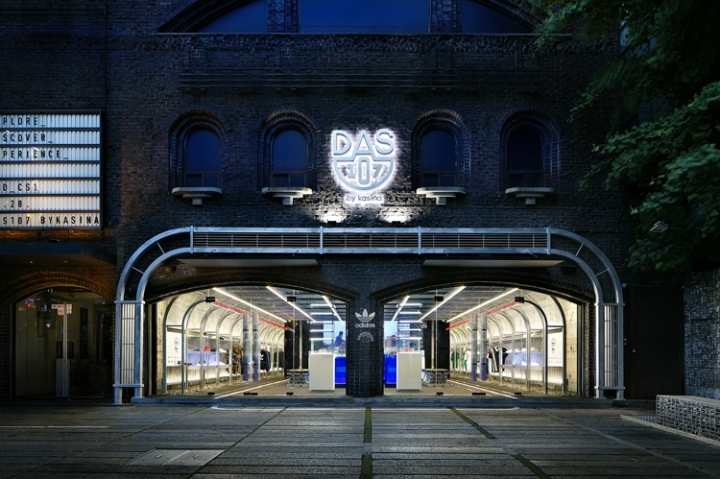 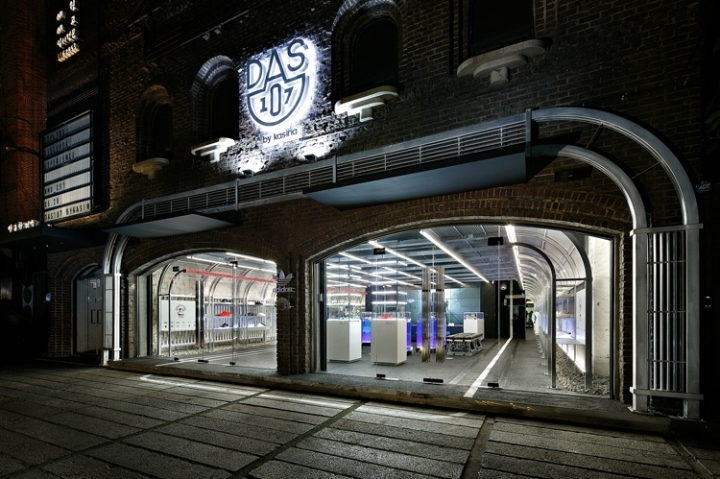 Located in Seoul’s Hongdae neighborhood in South Korea, DAS107 is an iconic store that—in collaboration with street culture specialist Kasina—represents adidas’ top-of-the-line products such as adidas Consortium limited items and other selected pieces. 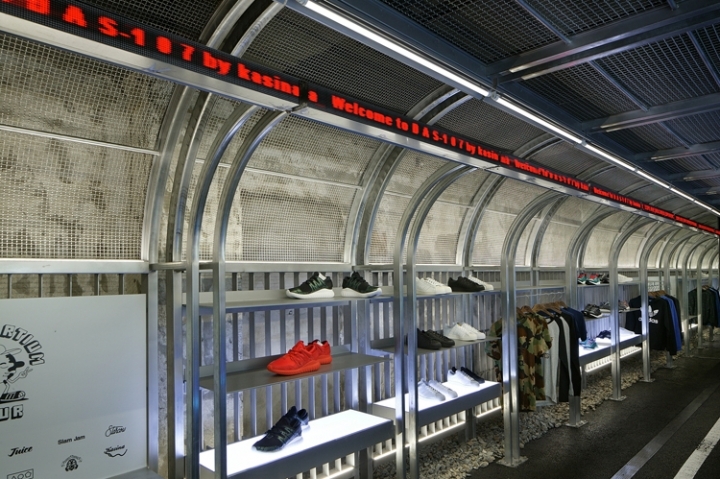 With its roots in Busan, Kasina began as selector and importer of street culture brands. 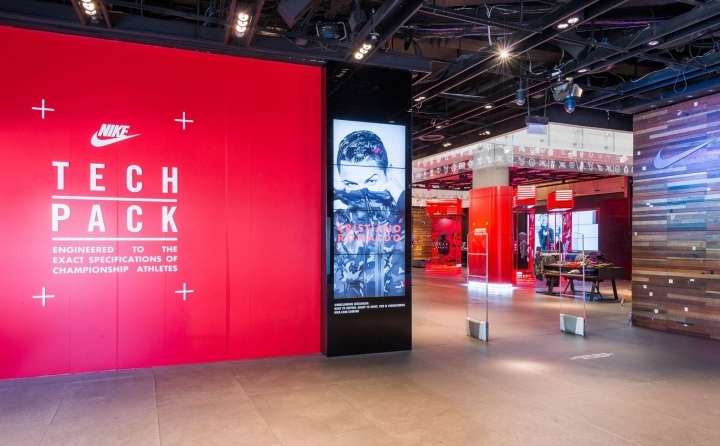 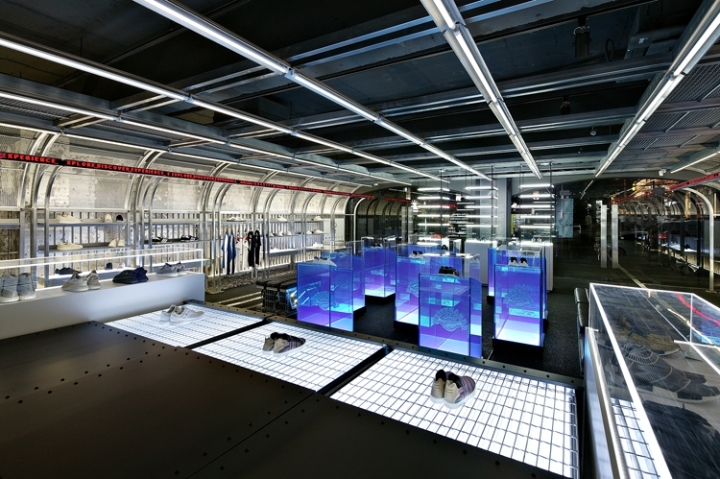 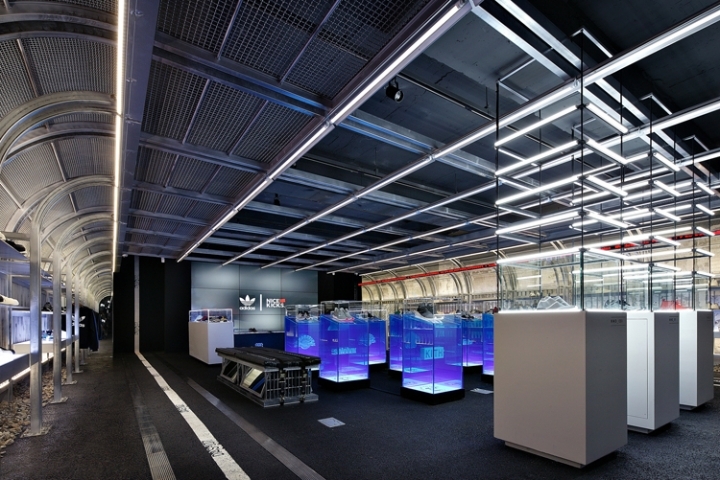 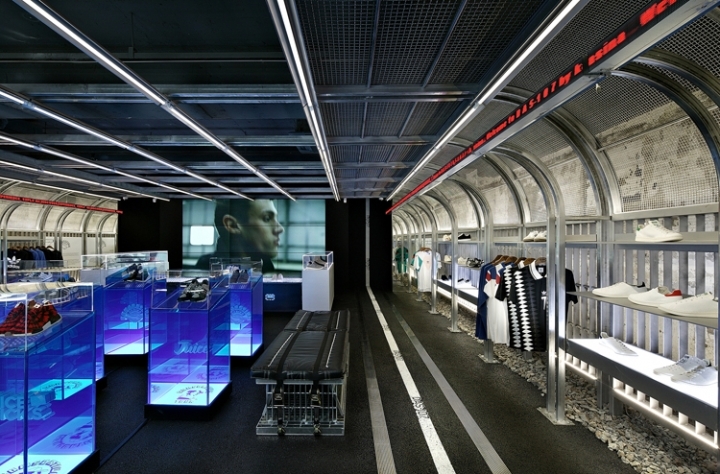 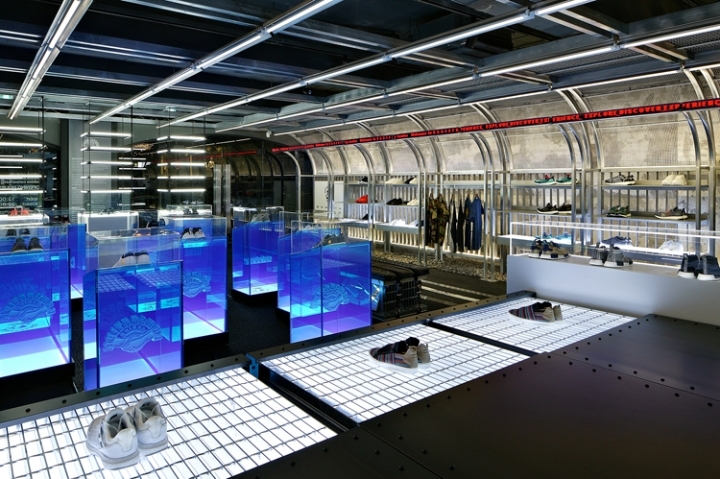 For this collaboration project with adidas, the two brands’ objective is to select Korea’s most premium products and create a community space for sneaker nerds to experience the deep histories and designs. 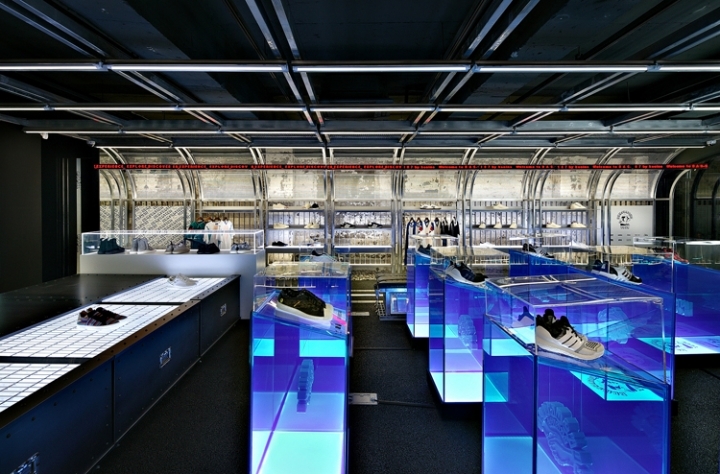 Conceived in collaboration with design studio URBANTAINER , the space serves as a contact point for high-quality products and an in-crowd gathering space for true sneaker nerds. 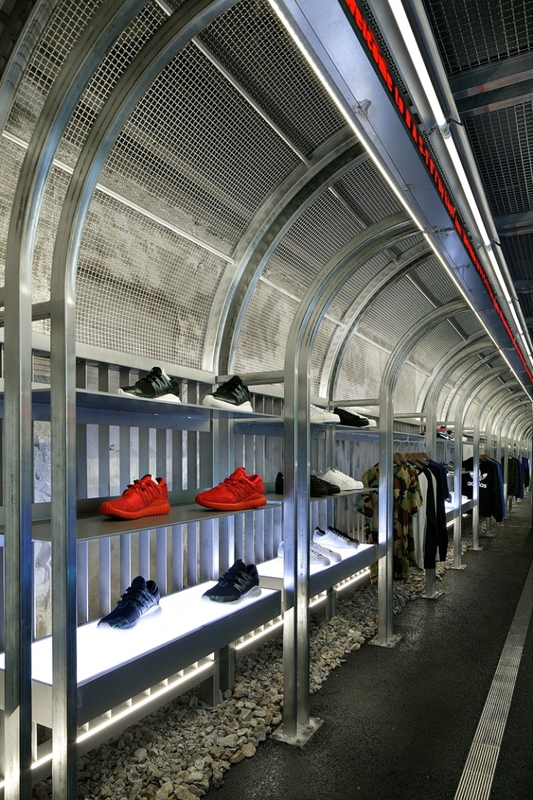 Its mission is to provide a comfortable atmosphere for street culture enthusiasts and new inspiration for trend-oriented customers at the same time. 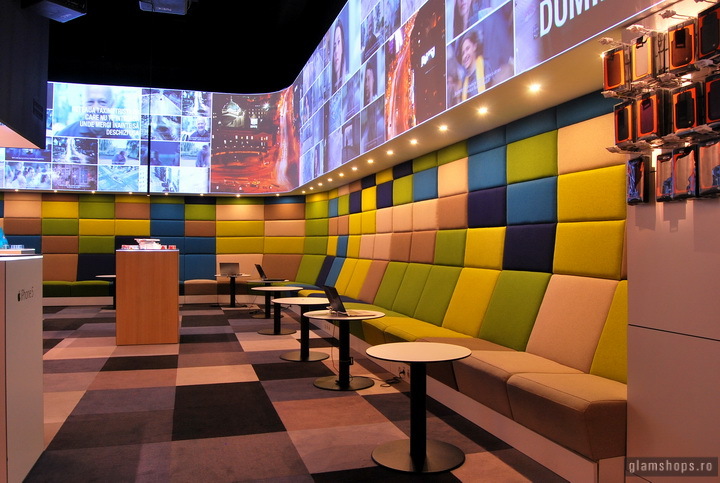 With this in mind, the space concept is based on in-crowd tastes and aims at providing a hang-out space for them first and foremost. 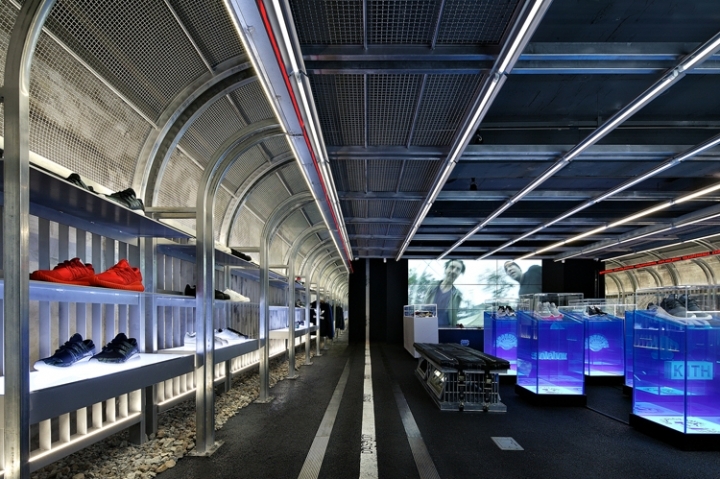 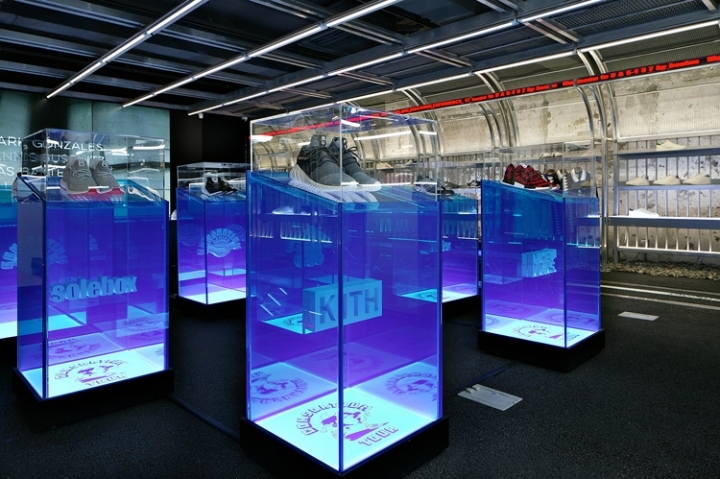 In contrary to a regular retail shop, the space is conceptualised as a symbolic experience space the showcases brand philosophies, provides diverse experiences, and conveys the influence of sneaker culture. 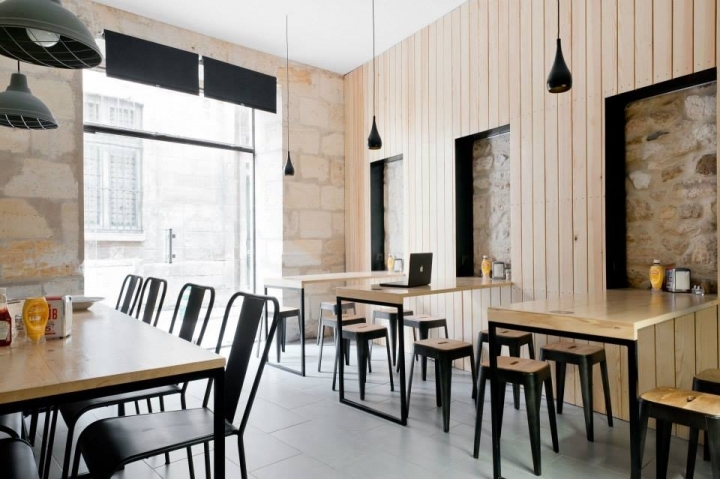 Materials like ascon for the flooring and custom-made zinc furniture evoke street scenes, providing a distinctive sense of street feel even if visitors spend their time indoors.